Lantiseptic Skin Protectant 4.5oz Jar is a widely trusted skin care product that specializes in cleaning, moisturizing, and protecting your skin. Lantiseptic can treat an array of skin care concerns including dry skin, redness, swelling, and dermatitis. 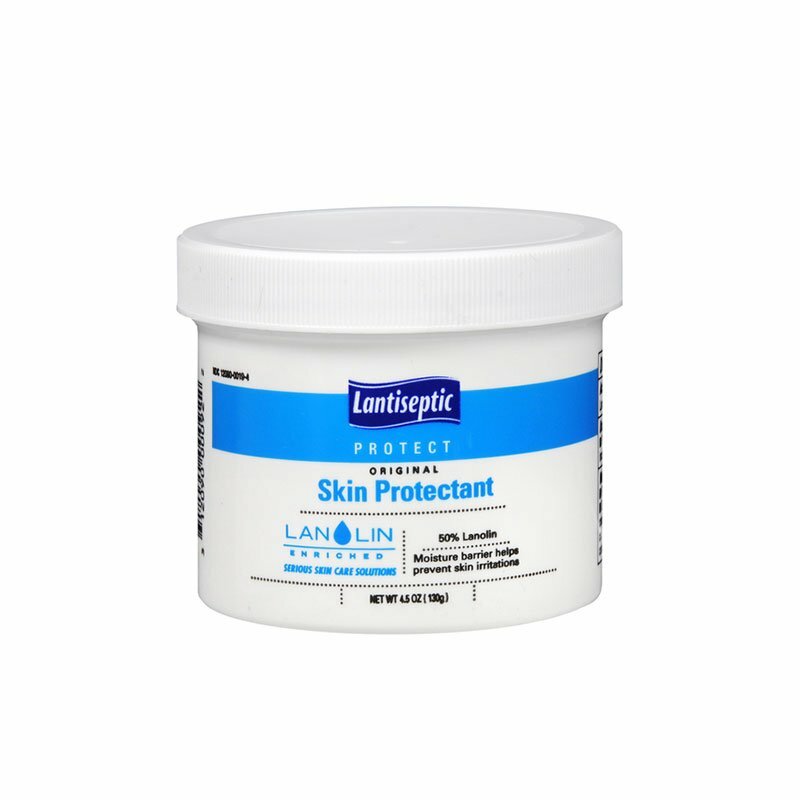 Lantiseptic Original Skin Protectant 4.5oz Jar features a high lanolin formula which treats a variety of minor skin irritations. This emollient barrier ointment contains both lanolin and petroleum for long lasting protection. Lantiseptic Original Skin Protectant helps maintain skin integrity and reduce breakdown making it the product of choice for superior protection. Helps prevent and treat skin irritations. Protects chafed skin or minor skin irritations due to incontinence. Contains 4.5 ounces of Lantiseptic Original Skin Protectant. Directions: Gently cleanse and dry area. Apply liberally to affected area as needed. Do not apply to deep or puncture wounds. If condition worsens, or does not improve within 7 days, consult a doctor. If swallowed, get medical help or contact a Posion Control Center right away.